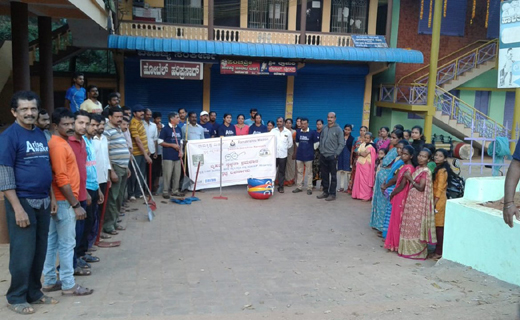 Mangaluru, Jan 28, 2019: Ramakrishna (RK) Mission Swacchata Abhiyan conducted it’s 8th week ’Shramadan’ in the Bunder area on Januray 27, Sunday in a committed manner. The Shramadan was flagged off at Azizuddin Road at 7.30 am by local Councillor Rameeza Nasir and Harish Achar, D K Dist. Cooperative Union. Speaking on the occasion, Rameeza Nasir said, “Everyone should maintain cleanliness. RK Mission has been successful in instilling in the minds of people awareness about cleanliness through this Abhiyan for the last 4 years. We wish to see it carried on and we shall extend all possible cooperation from our end.” Harish Achar said, “It is significant to note the development of the Abhiyan by Ramakrishna Mission and how it has influenced people of this region. Along with Shramadan, Mission is also conducting awareness campaigns which is admirable. We shall join hands with the Mission.” Swami Ekagamyanandaji, Convener of Swacchata Abhiyan, Nazeer Yadgar, Vijayendra Chilimbi, Imtiyaz Sheikh, Surendra Kudva, Srikanth Rao, Kodange Balakrishna Naik and many others were present on the occasion. Cleaning effort : A vigorous cleaning effort was carried out in Azizuddin Road, Kandathapalli Jumma Masjid, Car street end and so on. Heaps of garbage are always visible in this area, accumulated since long was an eye sore and a nuisance to passers-by. All the accumulated rotting garbage was removed and cleaned. First spot was cleaned by Preetham Mugil and others by using JCB and tippers stones and waste slabs too were removed. Airport Road: The Students of Karnataka Polytechnic took up cleanliness work on Udupi Highway. Principal Major Vijay Kumar and Santosh Kumar flagged off the drive. Rajendra Subramanya, Mahagunda and Gautham coordinated the drive. 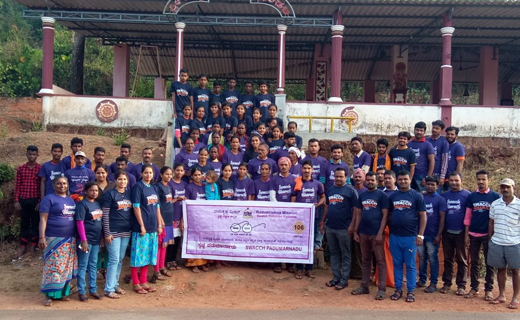 Swacch Soch Seminars: Six Swacch Soch Seminars were held in connection with Swacch Mangaluru Abhiyan in 6 different colleges. Seminar consisted of Talks, interaction and demonstration. Prof. Rajamohan Rao, Sri Gopinath Rao &amp; Dr Nivedita were resource persons. These seminars were held in University College, Hampankatta, Ramakrishna Degree College, Srinivasa Degree College, Govt. ITI College, University PG division, Srinivasa Physiotherapy Colleges. Ranjan Bellarpady, Chief coordinator of Swacch Soch Abhiyan coordinated these seminar programmes. 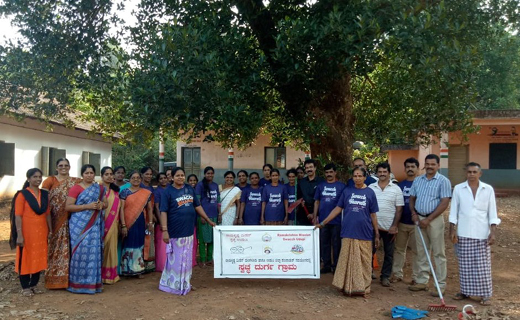 Swaccch Gram: Swacch Gram Abhiyan were carried out in 40 villages of Dakshina Kannada and Udupi Districts in association with Zilla Panchayat. 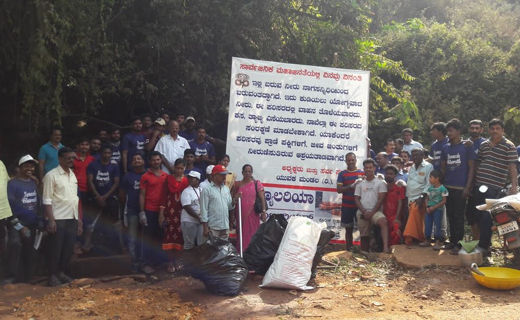 Aranthodu, Kalanja, Volamogaru, Bettampady, Aladangadi, Arji, Nallur, Sanoor, Durga, Mala, Mudradi, Kayarthdaka and other village Gram Panchayats carried out the Abhiyan. Swacch Aivarnadu: With the cooperation of Gram Panchayat, Shramadan was carried out in Aivarnadu. Shramadan was carried out from main town till Sri Panchalingeshwar Temple. More than 300 volunteers participated in the Shramadan. Sri U D Shekhar, Village PDO coordinated the Shramadan. MRPL is sponsoring all these drives.